The Watch Dude: Today (August 31st) is College Colors Day! College football season is starting again! According to ESPN, today is wear your college colors day. For me, that means digging out an orange and blue polo shirt and finding a Florida Gators watch. 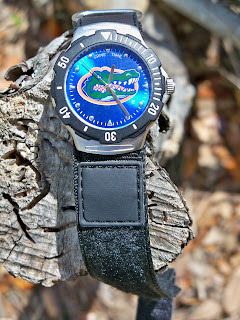 I might wear this GameTime Agent watch . . .